Mother's day is always so tricky, you want to gift something unique, not cheesy. Cute not childish, but most of all you want to gift something that your mum will want to use, and not have on display for a day before finding that "special place" in the back of a cupboard. 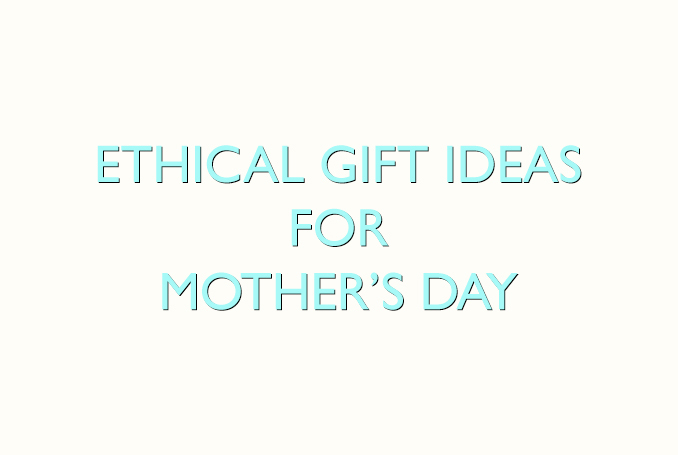 With this in mind I have curated my top 10 ethical gift ideas for mother's day; hope you like the selection! These light sprays are both heat protecting and shine enhancing and have the added convenience of refreshing your hair with a light scent that can be layered up throughout the day. Completely natural the fragrances included are Floral (Geranium, Bergamot and Vanilla), Citrus (Grapefruit, May Chang and Jasmine) and Musk (Neroli, Vetiver and Patchouli) – a good selection to suit your current mood. 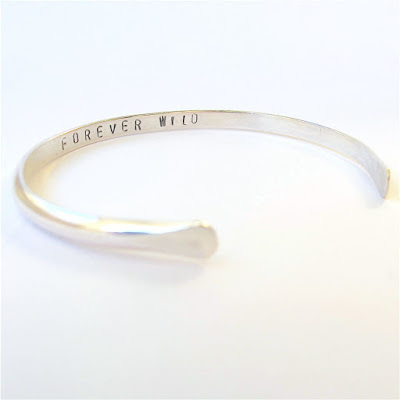 This adjustable sterling silver bangle is made from eco friendly sterling silver and can be personalised. Available in three sizes, the ends of the bangle are hammered flat to create a soft finish. The message will be hand stamped with 2mm capital letters and then oxidised so that the letters are dark and stand out. This is a statement piece for your beautiful mum! 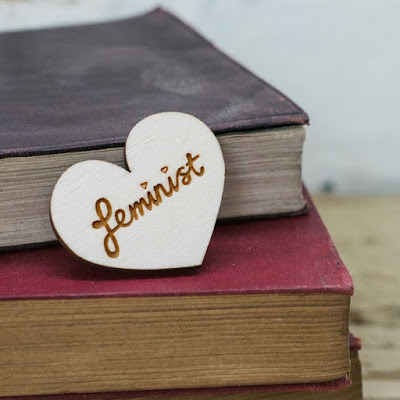 A heart shaped sustainable plywood brooch, engraved with 'feminist' in hand lettered text. The brooch back is a 25mm bar pin and is very lightweight which means it will not pull on your clothing. The brooch measures approximately 4cm x 3cm (1.6 x 1.2 inches). 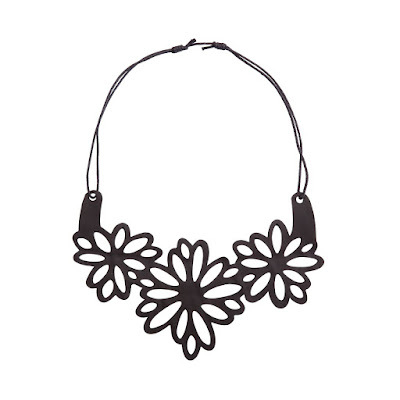 This is an eye-catching inner tube flower necklace, handcrafted by artisans using recycled/reclaimed bicycle inner tubes. 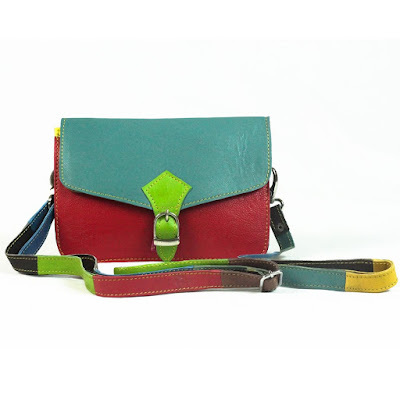 Measures Length 6.5cm; Width 6.5. For your delightful mum, this design has been screen printed onto 100% cotton by hand with in non-toxic water based inks. The cushion is backed with a black and white gingham checked cotton and measures 29 cm x 45 cm. 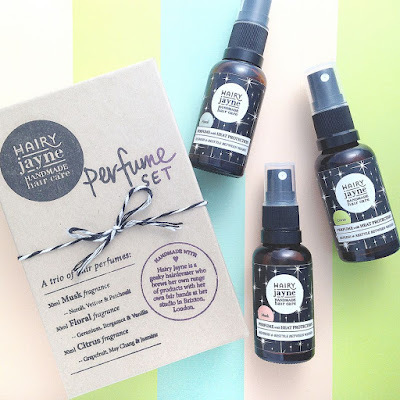 Does your mum need a little pampering? This foot soak, foot scrub and foot softening balm are made from 100% Natural and Organic Ingredients. They come in a lovely gift box and the products are safe for the planet and Eco friendly. They are biodegradable, Sulfate free, Parabens free, Phthalate free and made with fair trade ingredients. For a mum with a sense of humour and doesn't mind the odd tipple or two, this is a great tote bag. 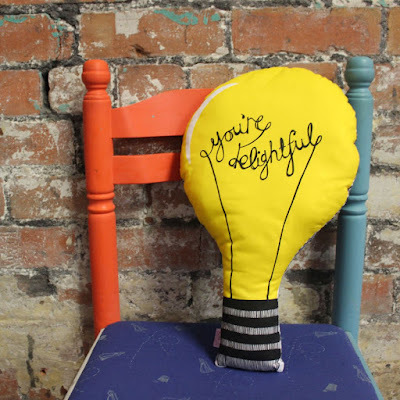 Made from 100%, 4oz recycled cotton, they are a great size for shopping, measuring 42cm x 38cm with 33cm long handles. 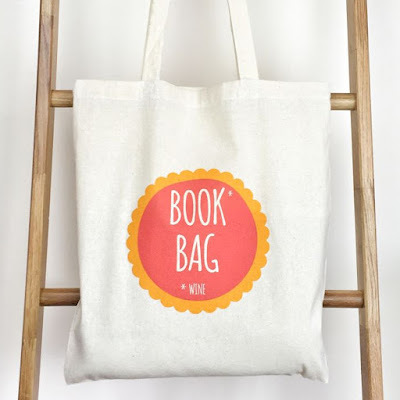 If it's a unique gift you're after, this bag is perfect. No two bags are the same colour, these bags are made from recycled and factory offcut leather that may have otherwise been wasted, which is why each bag is unique in finish and colour. The offcut bags have less impact on the environment, reduce waste and help create work in the developing world. Features one inner zip pocket, inner black lining, magnetic fastening to main compartments, three inner compartments (two divisions) and an adjustable/removable strap. 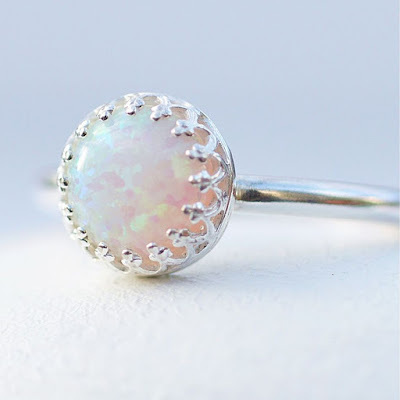 A classic gift for any mum is this handmade Sterling silver slim band ring, complete with a crown bezel set with a lab created white opal. The lab created white opal has pretty flashes of lilac and aqua when it catches the light and the silver has a high polished finish. The band is 2mm wide round wire and opal is 8mm in diameter. And last but not least is this adorable set of pillowcases, one for a dog lover. 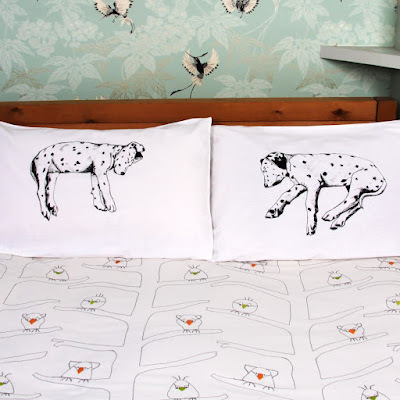 They are 100% cotton, hand screen printed pillowcases, with 2 different Dalmatian puppy designs. Each illustration is original and hand drawn. The drawings are then individually hand screen printed with soft eco-friendly inks onto the pillowcases. They are sold as a pair and measure approximately 78cm x 52cm (30.5 inches x 20.5 inches). 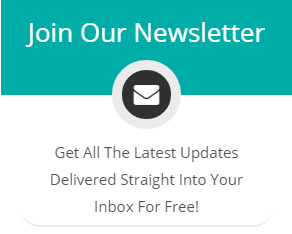 To view more ethical gift ideas you can head over to The Lost Lanes here.